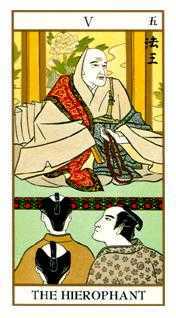 For many years, I have admired the beauty and simplicity of Ukiyoe art, with its handsome figures, casual poses, striking colors and nobility of style. 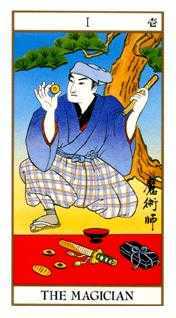 At every opportunity—when answering inquiries sent to U.S. Games Systems from artists interested in submitting samples of their work or when meeting Japanese visitors—I have asked if anyone knew of a talented artist whose work embraced the Ukiyoe style and who might be willing to undertake the arduous task of preparing 78 designs for a Tarot deck. A number of artists submitted examples of their work, but for one reason or another, the samples did not seem entirely suitable. The cards I envisioned for the Ukiyoe Tarot deck had to combine the artistry of the “floating world" with the traditional symbolism of the Tarot. Finally, in February 1980, I came in contact with Minoru Shigeta and Y. Nakagawa of Angel Playing Card Manufacturing Co. Ltd. 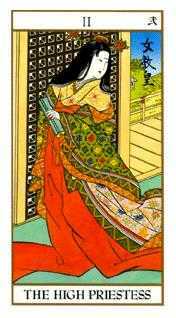 Through their kind efforts and cooperation it was possible to commission Koji Furuta to execute the designs for the Ukiyoe Tarot deck. 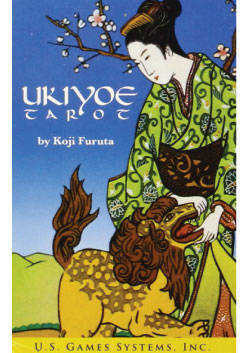 Starting with sketches and corrected paintings, the Ukiyoe designs slowly evolved into a complete Tarot deck, printed in 1982 in Japan by Angel Playing Card Manufacturing Co. Ltd. and published by U. S. Games Systems, Inc. 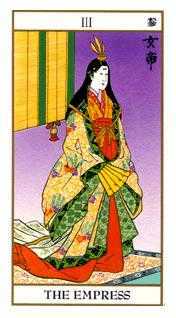 The original artwork for each Ukiyoe Tarot card measures approximately seven inches by ten inches and is owned by the Stuart and Marilyn R. Kaplan Playing Card Collection. It is probably a fair observation that many new ideas are never followed through to completion. 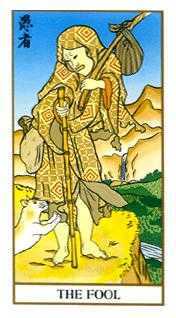 Fortunately, the beauty of the Ukiyoe Tarot deck has seen fruition. 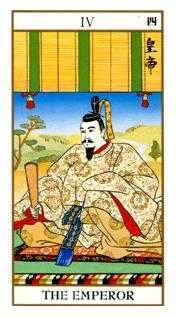 It is my hope that the imagery of the Ukiyoe Tarot cards, with its mastery of line, color and composition, will evoke as much feeling of admiration and enjoyment for you, the reader, as they do for me. If so, then clearly the deck will have justified the efforts of artist and publisher during the past two years.